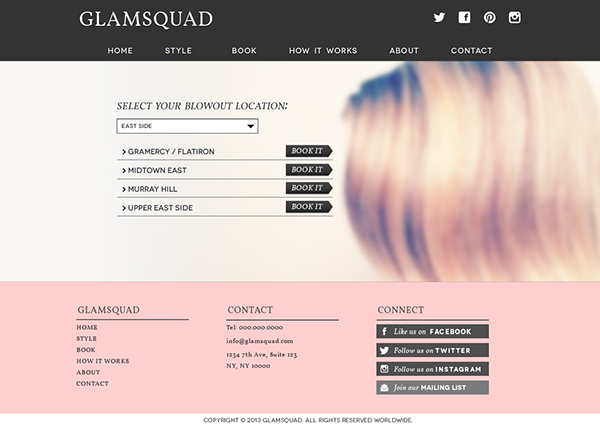 GLAMSQUAD is an on-demand beauty service that brings the blowout artist to your house. 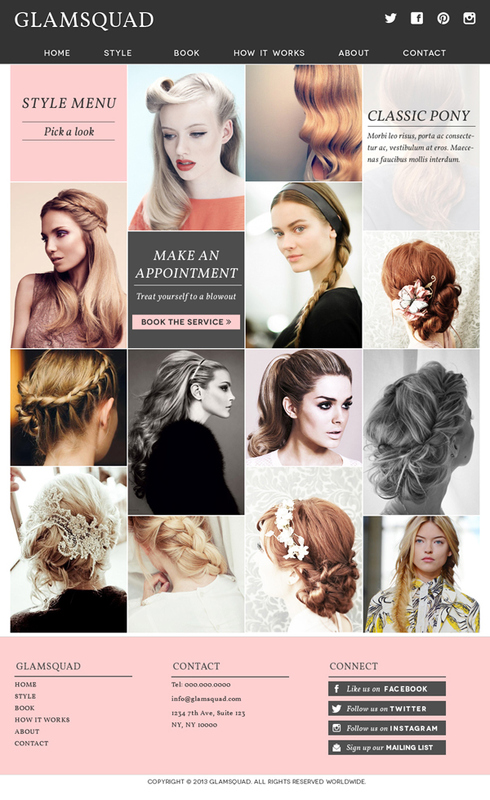 The project is to design and develop the first website for GLAMSQUAD to start the business. Therefore, from the begining GLAMSQUAD didn't have it's brand / identity system. Considering clients' budget and timeframe, we decided to use the simple/elegant fonts and colors to concrete the visual consistency of the brand. Link to the GLAMSQUAD Website. The whole website focuses on the social network integration, elegant and clean typography and the use of engaging images. 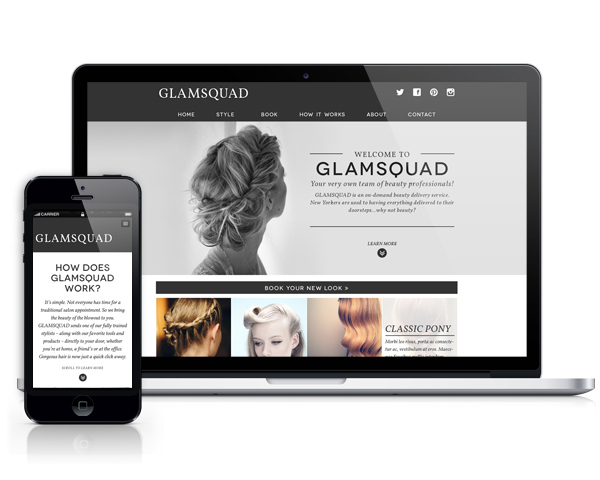 GLAMSQUAD is a customed wordpress theme designed and developed specifically for GLAMSQUAD. Based on the CMS back end design, the clients can edit and modify the image and content, publishing new style features and manage the booking system list. After seleting the region, the coresponded locations list will show up. Go to check the website in live. GLAMSQUAD is an on-demand beauty service that brings the blowout artist to your house. 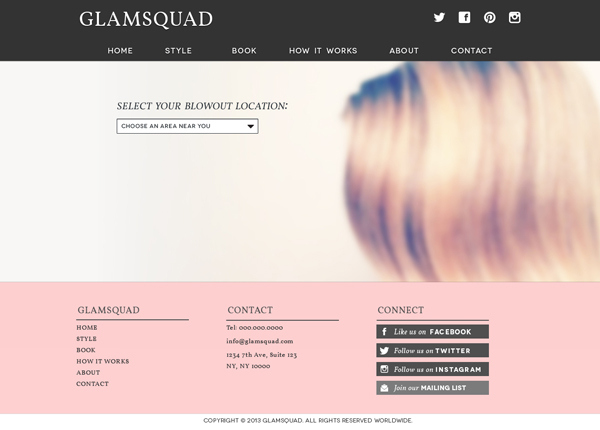 The project is to design and develop the website for GLAMSQUAD to start their on-line booking service.